It feels like quite a while since I went to the cinema to watch something that wasn’t intended for children or young adults. With recent reviews of Home, Insurgent, Cinderella (and a trip to The Spongebob Movie: Sponge Out Of Water that I didn’t feel the need to write about), the prospect of Russell Crowe’s new pet project The Water Diviner promised a change of tone and pace even if I didn’t feel completely enthused by the prospect of the picture. 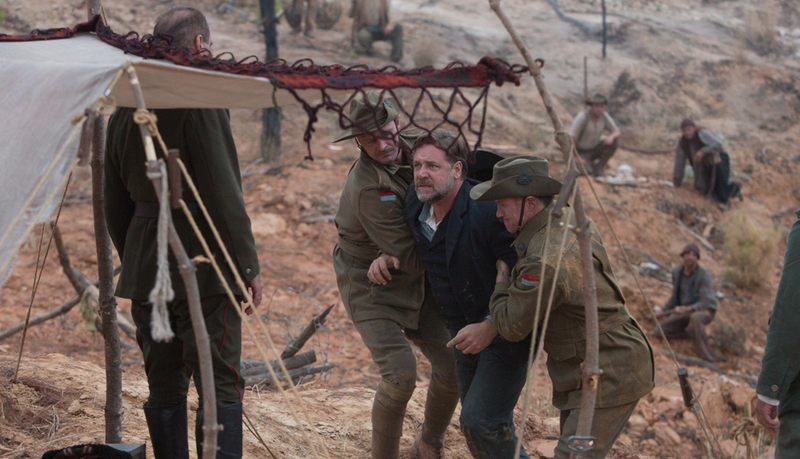 With the trailer evoking feelings of part War Horse, part The English Patient, part 1981’s Gallipoli, I anticipated that The Water Diviner might be an engaging ride but nothing that I hadn’t seen before. And to an extent, I was right. Based on true events, The Water Diviner tells the story of Joshua Connor (Russell Crowe), an Australian farmer who travels to Turkey five years after the battle of Gallipoli to keep the promise to his dead wife of bringing home the remains of his three soldier sons who never returned home, presumedly dying in combat. The narrative is filled with many of the expected tropes and subplots that accompany a post-war melodrama, including emotive action flashbacks, raised international and racial tensions, and a couple of twists for good measure. Joshua Connor’s journey begins in the desert of Australia and takes the audience on journey through the boutique hotels of Turkish cities to the battle torn beaches, still swelling with corpses five years on, and what the film does an interesting job of doing is managing to display the impact and grief of the First World War not just for the winning side but also for the losing side, each with their thousands of casualties and each with their tragedy left families. A romantic subplot arises between Connor and the beautiful widowed hotel owner Ayshe (Olga Kurylenko), and this serves as rather heavy handed and mechanical device to unite on a human level the people left behind, who must strive to find some semblance of normality years after the most devastating conflict of our time. Overall, these traditional elements of war genre melodrama work rather will for the film, and Joshua Connor’s campaign to recover his sons is a thread that promises heartbreak and heart warmth in equal measure. However, it is the less traditional aspect of Joshua’s character that, unfortunately, pulled me out of the picture and left me a little cold. As hinted in the title, the protagonist has a special knack for sensing and seeking out water beneath the ground in his native country. This trait is brought with him to Turkey where, quite unbelievably, his almost supernatural senses are put to effective use during his search for his sons. Whether ‘true’ or not, this series of events completely ruins the tone of the picture, changing it from a traditional but enjoyable post-war drama in to a weird mix of Gallipoli and The Sixth Sense. What could have been a pretty effective and touching melodrama, in a matter of five crucial minutes, turns in to something that verges on the ridiculous with the filmmakers choosing to go down a route that leaves the dissatisfied audience with far more questions than answers. Assuming the duel role of director and protagonist, actor Russell Crowe obviously had a passion for the subject material, and whilst he doesn’t reach the heights of his best performances like Gladiator or A Beautiful Mind, Crowe is a perfectly respectable presence in the film and his turn suffers no visible damage from being self directed. The film is as much about Joshua Connor’s journey out of mourning as it is the journey to recover his sons, and Crowe does a decent job of displaying a character transitioning from absolute grief to an eventual light of hope at the end of the tunnel. Providing a much needed spark of feminine talent and presence is Olga Kurylenko as Ayshe, who gives a fine performance as a woman who, in essence is the female equivalent of Joshua, a person fighting demons caused by war. Kurylenko is rather hypnotic to watch and steals the attention in each of her scenes with very little effort, the sign of an actress who is better than the material with which she is working. The role is not as taxing as Crowe’s but I would go so far to say that the actress is the real star of the show, producing an ultimately more memorable performance. 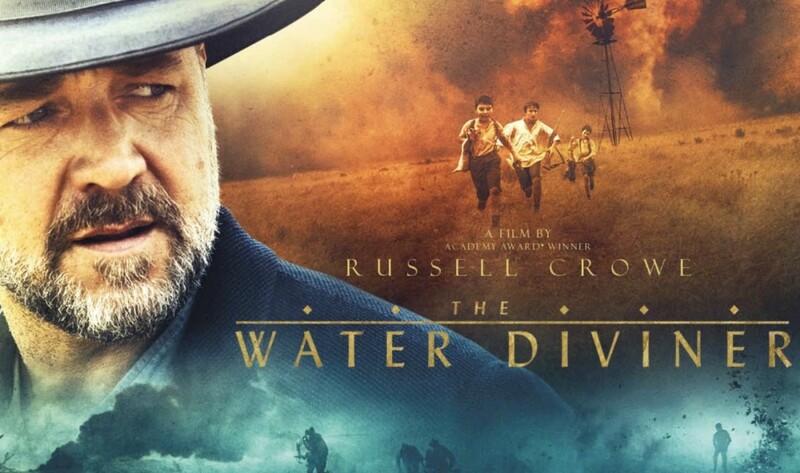 Overall, The Water Diviner is a film that begins with a solid dramatic premise, but due to a series of poor narrative choices ends up being more of an odd and unsatisfying journey, rushed in the parts you wished it wasn’t and dwelling on the parts you care very little about. Though the First World War and all the themes that encompass it are always good for intriguing and engaging historical drama and Crowe and Kurylenko are fine leads, the plot’s odd dependence on psychic intuition and ‘perchance’ incidents feels entirely out of place and results in a rather strange and somewhat detached watch. My advice? Don’t rush out to catch straight away, but perhaps worth a home viewing one Sunday afternoon if you are looking for a war film that offers something a little different.